UMass Boston administrators are cutting jobs as the university contends with a financial crisis. 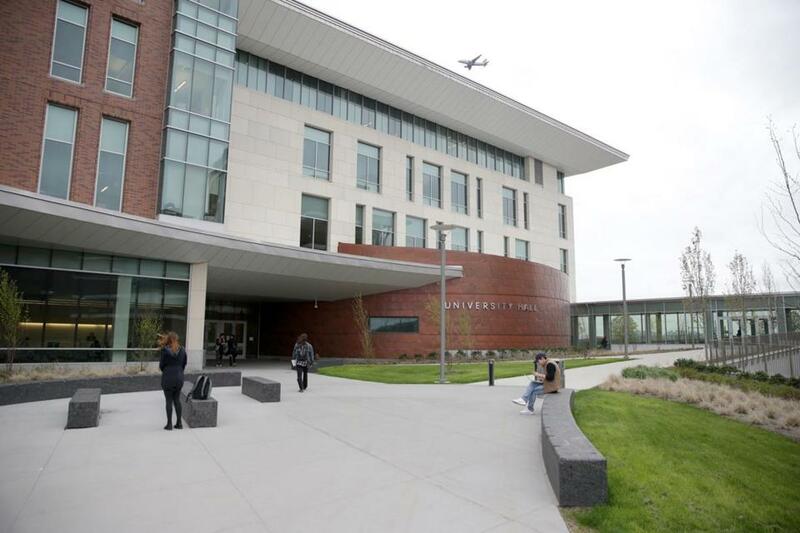 University of Massachusetts Boston officials began a first round of layoffs Wednesday, the latest step in the university’s effort to help solve its major financial problems. Layoffs are expected to continue on Thursday. In all, administrators plan to lay off 36 people this week and reduce the hours of seven more, all of them staff who clean the school, help run academic programs, work in the student health office, or in other ways support the daily operations of the university. Some have worked there more than 30 years. Administrators, aides to senior-level administrators, and people who develop academic and general policy will also receive notices, according to the school. The campus faces a budget gap that officials have said could have reached $30 million this year. Barry Mills, the UMass Boston interim chancellor, said last month that the layoffs will save $1.8 million total. Administrators have made other cuts, including to a student day-care facility, and left other posts unfilled. About 50 employees took advantage of a buyout program earlier this year. A letter to campus employees from the human resources department said the other cuts made a dent in the deficit but it wasn’t enough. “We unfortunately must make further cuts to align UMass Boston operations with our financial and other resource levels,” wrote Marie H. Bowen, vice chancellor for human resources. A university spokesman did not make Mills available for comment Wednesday. Although only 43 people are directly affected by the layoffs, they cast a pall over the whole campus Wednesday. Professors worried they will now have to perform more administrative tasks, and other staff worried they will have to pick up the extra work. An audit released last week detailed years of financial mismanagement that auditors said contributed to the deficit the school faces. The report described a chaotic budgeting process including multimillion-dollar swings in tuition revenue estimates and a lack of understanding about how the school’s massive construction projects affect the budget. Some employees were notified Wednesday by their supervisors or someone from the human resources office, then union members met with union representatives. Non-union employees were also affected, according to the university. According to the unions, the cuts disproportionately affected longtime workers and women. Eight of the 13 members of the professional staff union who were laid off have worked on campus for more than 15 years, according to Anneta Argyres, a union board member. Eleven of the 13 were women. “The emotional impact on the community is enormous,” she said. The university had 2,095 employees last year but has eliminated 130 positions this year, according to a press release sent Wednesday. The university has 16,415 students this year. The school is trying to shrink its budget gap from what was projected to be $30 million down to $5 million by the end of the fiscal year in June. Employees who lose their jobs will have 60 to 90 days before the layoff takes effect and will be eligible for severance pay and help in a job search, according to the school. The unions have asked UMass system president Martin T. Meehan and university trustees to stop the layoffs and use money from the rest of the UMass system to plug the budget for now, then develop a longer-term plan to bring the finances into balance.